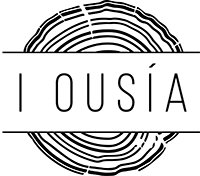 I Ousía is Greek for the essence… The essence is what it is all about! I Ousía is an idea of Suzanne Kempeneers which offers workshops and coaching on the Greek island of Naxos. A holiday in a perfect spot combined with an interesting workshop. Weekly workshop for islanders and island-visitors. Life-coaching, Work-coaching, relational coaching… If you want to take some time for yourself. Naxos is a relative big (428 km2) Cycladic island. De Cyclades are known for their white, cubic architecture or villages who seem to have been made by putting white blocs on top of each other. A lot of churches too, some with a blue dome. The Cyclades are especially famous by the more touristic islands Santorini and Myconos, the deepblue sea and white sandy beaches. One also thinks of pictures of packed donkeys climbing a hill, raki-drinking old men, or orthodox priests with long beard and black garment. I Ousía gebruikt cookies om u een zo goed mogelijke service te bieden. Door verder te gaan op onze website accepteert u deze cookies en ons privacy beleid.